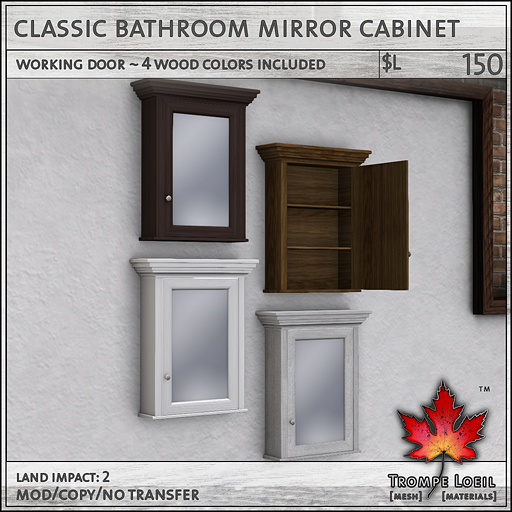 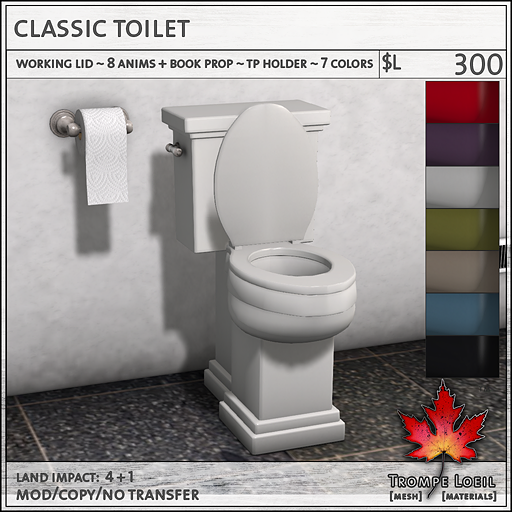 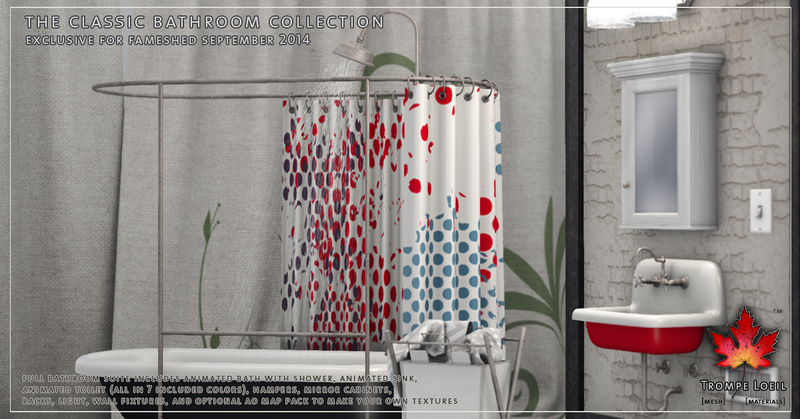 Rinse off the end of summer and get ready for a busy Autumn with our latest FaMESHed set – the Classic Bathroom Collection! 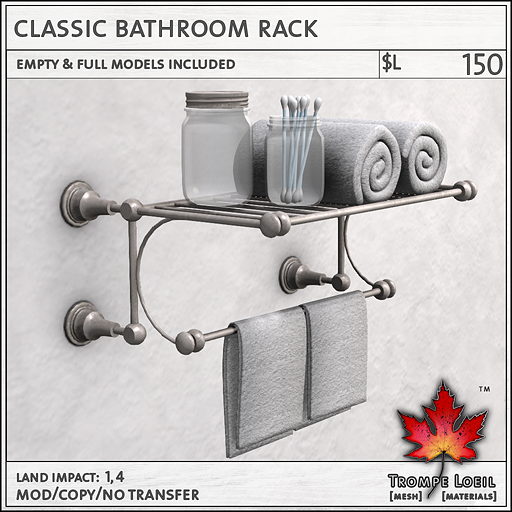 We’ve included everything you need to make decorating your perfect bathroom a snap! 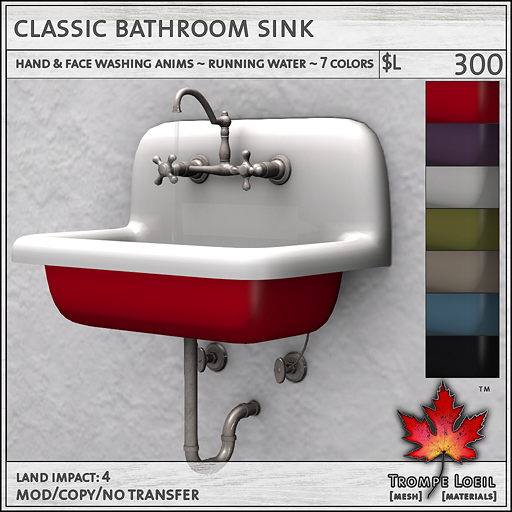 To start, we’ve included 7 fashion duotone color options for the Classic Bathtub, Classic Bathroom Sink and Classic Toilet – Cherry, Atlantic, Moss, Fawn, Plum, White, and Black. 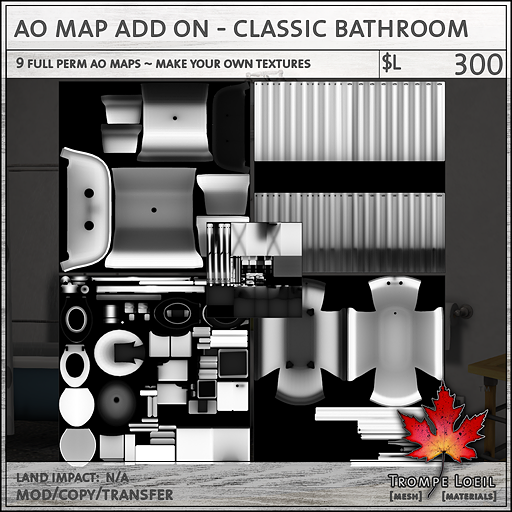 Tint the White to make your own custom color, or grab the AO Map Add-on Pack to get nine AO maps – customize your entire collection exactly how you like it! 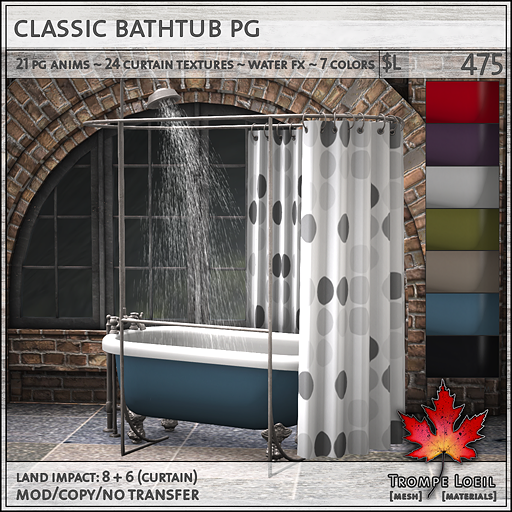 You may not need to – we’ve included 24 Shower Curtain textures, from the vintage to the classic to the fun and modern, to match any mood. 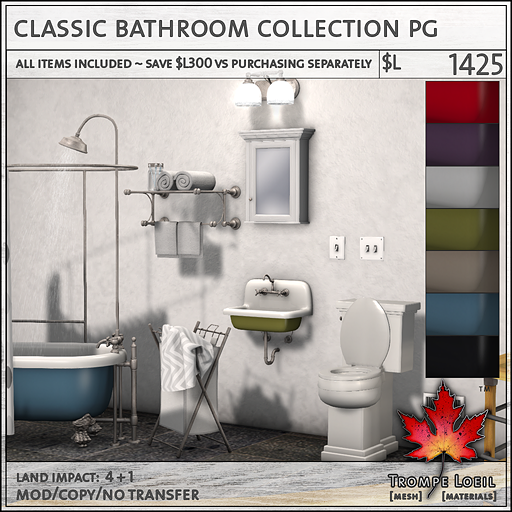 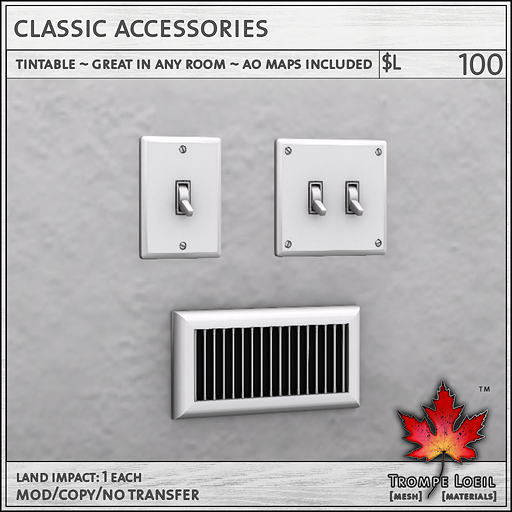 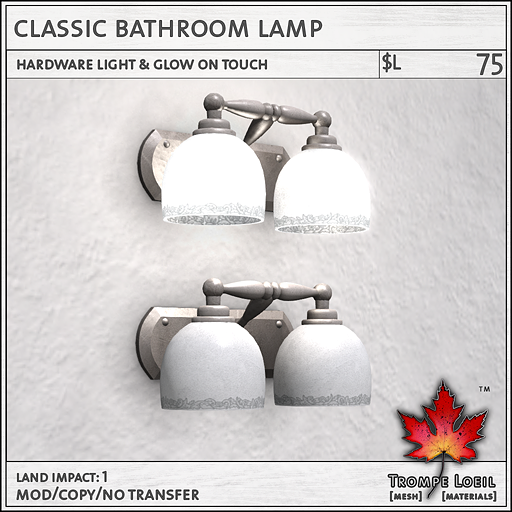 The Classic Bathroom Collection saves you $L300 versus purchasing each item individually. 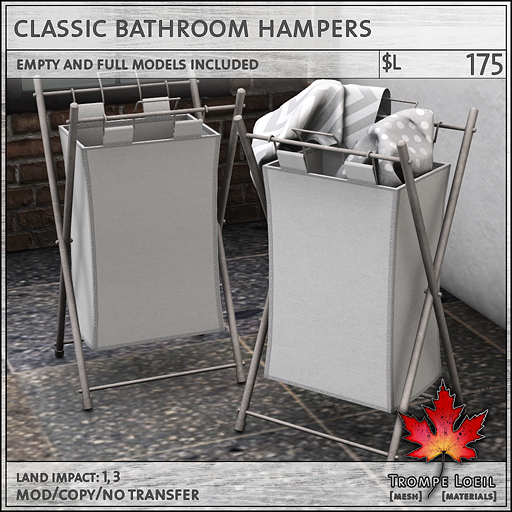 Or, just grab what you want, need, or love – the Bathtubs, Sinks, Toilets, and all the accessories are available for purchase on their own as well! 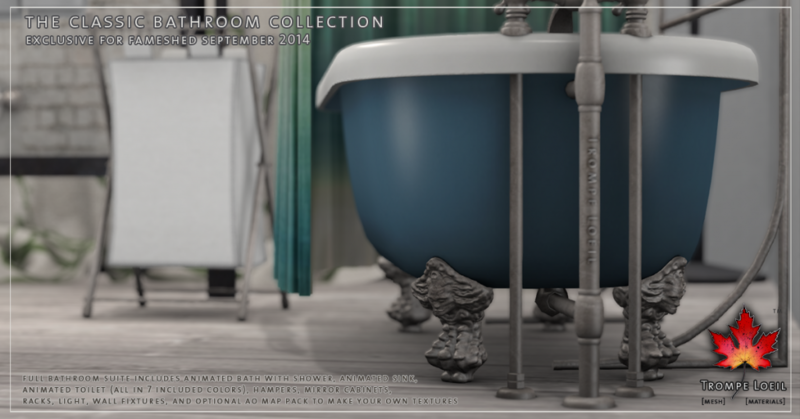 Check out the on-site display at FaMESHed this September!